One of these bizarre Italian sport coupes is now in the United States. Some pretty things don't lose their attractiveness as they age. The final generation of the Mazda RX-7, the Jaguar E-Type, Dolly Parton, all as desirable as they were 20 or more years ago. [The Drive staff remains divided on at least one of those three, and we bet you can guess which it is. —Ed.] 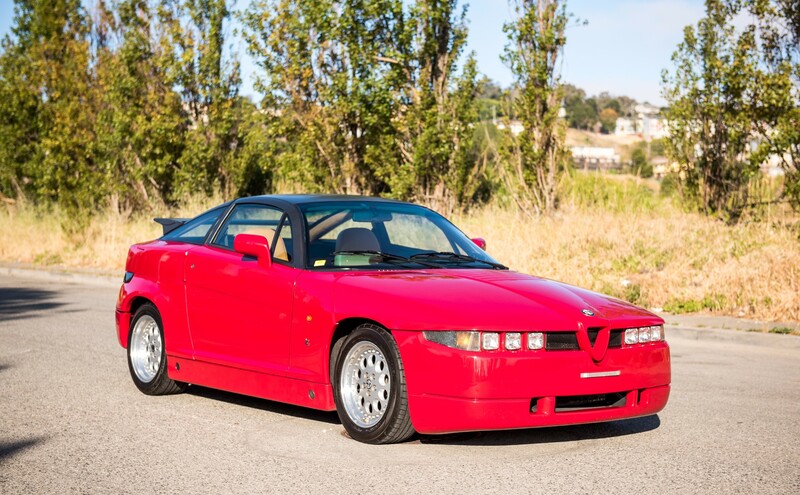 Cars like the Alfa Romeo SZ, however, were ugly ducklings in their day—and time has since been cruel to their already-strange looks. 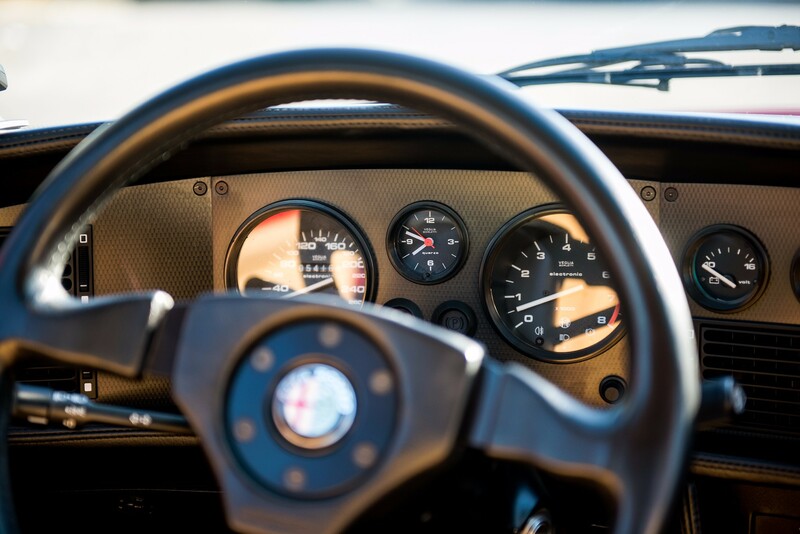 It is powered by a 3.0-liter 12 valve V-6 that makes 210 horsepower, and it was conceived in conjunction with Italian coachbuilder Zagato. 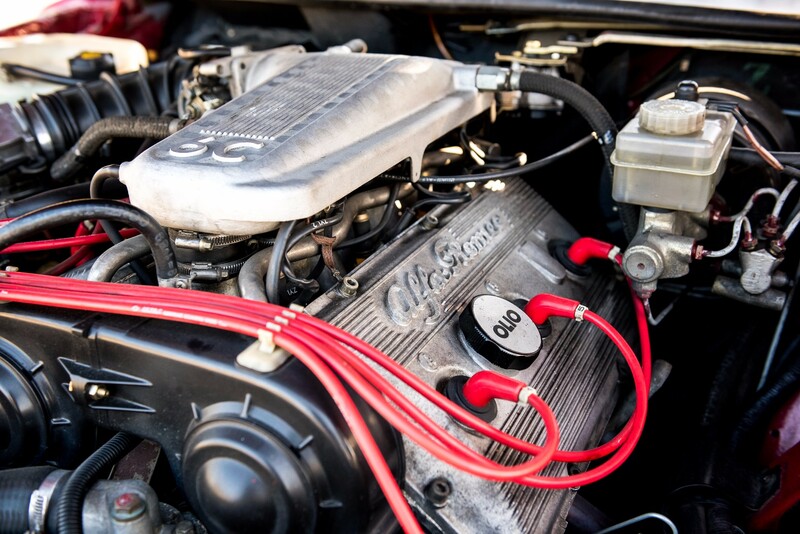 Suspension was derived from the company's 75 sedan-based Group A race car, which made the car allegedly capable of resisting peak lateral acceleration forces of 1.4 Gs. 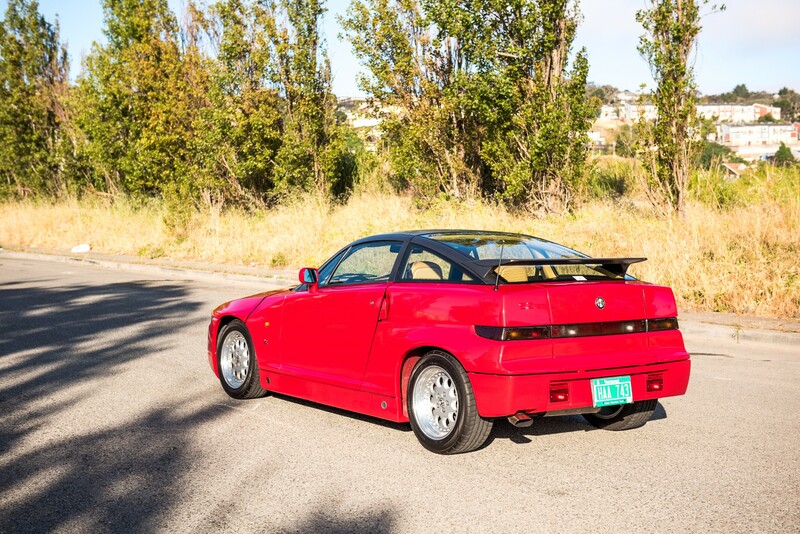 Only a single paint color was available from Alfa Romeo for the SZ: Rosso Alfa. Of the car's 1,036-unit production run—of which 38 were prototypes for testing—approximately 100 were exported to Japan. One of said Japanese market cars has been brought to the United States, and is now up for auction on Bring A Trailer. The vehicle has a mere 33,000 miles on it, and almost all the car's paperwork is in Japanese. Its production number is 585, according to both its certificate of authenticity and the "585" plaque inside the car, just aft of the stick. 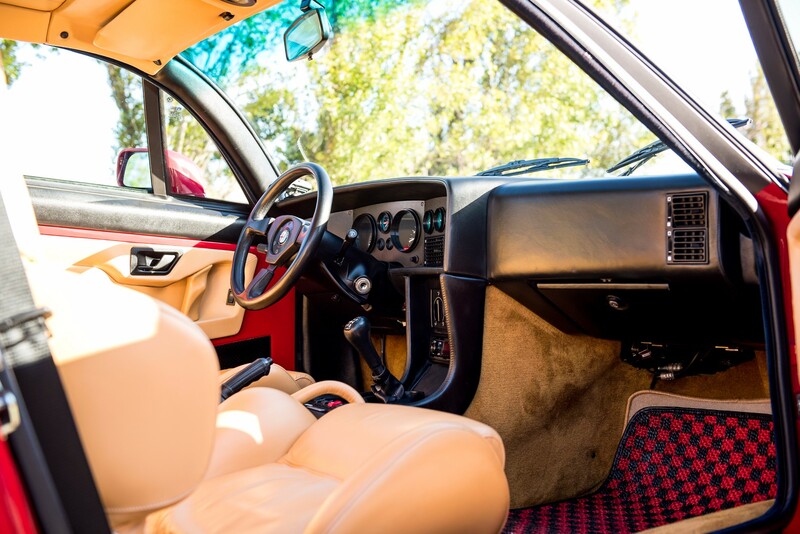 The only stated modifications are floor mats and a more modern stereo. Looking through the pictures, one may see something resembling a back seat, but don't treat it as one— it's hardly more than a parcel shelf. Those straps are for luggage, not passengers. For those interested in making a move on this odd Italian rarity, the current bid is one that will require competing parties to reach deep into their billfolds: $40,000. The high bid is expected to rise further before the auction's end this Friday; Hemmings lists one of the cheapest prices for an SZ in the upper five figures. Can Alfa Romeo Succeed in the US? Alfa hopes to make a comeback after years of bankruptcy and neglect. MR. Farah drives a rare new Alfa through the Malibu canyons in search of the perfect grand tourer. Hillclimb cars make for some of the strangest (yet most attractive) race cars out there.